Coffee is one of the world’s most popular beverages and it has been enjoyed by people around the world for many centuries. Whether you prefer single or double shot, short or grande, no fun or wild, the world is a better place because of coffee! A coffee bean is a seed found inside the fruit of the coffee plant, often referred to as a coffee berry. Each coffee berry has two beans. When dried, roasted and ground, coffee beans are used to brew coffee. If the seed is not processed, it can be planted and will grow into a coffee plant. Even though they are seeds, they are referred to as ‘beans’ because of their resemblance to true beans which are part of the legume family (see the post Keep Your Finger On The Pulse for more info on legumes). Click here to see a very informative infographic on where coffee comes from. Making a good cup of espresso is an art within itself, but latte art is the cherry on top! Latte art, also known as barista art or coffee art, refers to the practice of pouring steamed milk into a shot of espresso and resulting in a pattern or design on the surface of the resulting latte. There are two main types of latte art: free pouring (pattern created during the pour) and etching (using a tool to create a pattern after the pour). The exact origin of Latte Art remains hazy, but the trend presumably began in Italy. – Is Fat Black The New Skinny White? on bulletproof coffee. boost nerve cell activity in the brain, potentially protecting against memory loss. lead to a decreased risk of contracting alzheimer’s disease and certain cancers. used ground coffee makes great compost! On the downside, coffee may increase LDL cholesterol, affect pregnancy outcomes and increase anxiety and blood pressure. 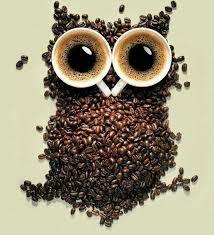 Caffeine overuse can trigger a fast heart rate, insomnia, anxiety and restlessness, among other side effects. Abruptly stopping use can lead tosymptoms of withdrawal, including headaches and irritability. The guys at Seattle Coffee Company believe that life is too short to drink bad coffee. I could not agree more! Seattle Coffee Company’s slogan “the way you like it” is definitely not just empty words, but sums up the whole experience at Seattle Coffee Company. Seattle Coffee Company is a family-owned South African business. They were pioneers in bringing coffee culture to South Africa in 1997 and for close to 20 years they have been providing customers with gourmet coffee experience in a context that serve as urban refuges where customers can hang out, catch up, slow down or get going. Seattle Coffee Company’s baristas are trained to make your drinks just the way you like it, i.e. customised to your individual taste. If your favourite way to get your caffeine fix is a double shot espresso with hot pouring cream on the side, they won’t disappoint! All coffees on their menu are available in regular or decaf, black or with full-cream, semi-skimmed, skinny or soy milk. They are also investigating rolling out almond milk as another dairy-free option soon. Of course, many people enjoy preparing their favourite coffee in the convenience of their own home. All of Seattle Coffee Company’s coffees are available to purchase in their café stores as whole beans for home brewing. Visit Seattle Coffee Company’s website for useful tips on how to prepare the perfect cup of coffee at home as well as basic guidelines for ordering your coffee at one of their café stores. Try one of the many recipes on this website with freshly brewed coffee: Coffee-infused Moroccan Lamb With Figs, Apricots & Cashews, Muskadel-Espresso Chicken Breasts with Plums or Prunes, Caribbean Coffee Chocolate and Banana Cake, Coffee Apple Walnut Cake, Affogato, Creamy Mocha Mousse, Mocha Ricotta Cheesecake, Irish Coffee Dessert, Tiramisu, Frozen Mocha Cheesecake. 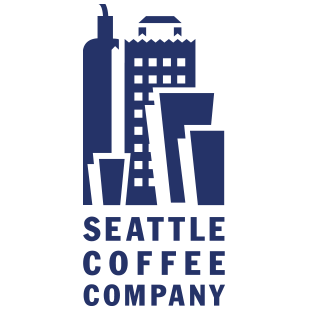 To listen to a interview with Peter Howie (Operations Director of Seattle Coffee Company) on the history ofSeattle Coffee Company in South Africa, as well as its relation to Starbucks, click here. With the first Starbucks store opening in Johannesburg in mid-2016, one cannot help to wonder how it will affect companies like Seattle Coffee Company. With close to 100 stores country-wide, and with an ever-growing customer-base, in my opinion Seattle Coffee Company has anything to worry about. I know where my loyalty lies! Click here to find out how the Seattle Coffee Company’s coffee beans gets from the coffee tree to your cup. For more information on coffee in general, like the health benefits, the low-down on caffeine, latte art, etc. see the post From Bean To Cup. If you regard yourself as a coffee connoisseur, or if you cannot imagine a life without coffee, then SA Coffee Club is the club to join! SA Coffee Club’s aim is to increase awareness and an appreciation for good coffee. They host coffee related events in both Johannesburg and Cape Town on a monthly basis where guests get to taste and learn more about coffee. You will be invited to all their coffee events. Their events are hosted by experts in the coffee industry and you will be able to experience some of the best coffees in the world. You will also have the opportunity to learn more about a variety of coffee equipment. You will also have the opportunity to meet people in your city with similar interests. For more information on coffee in general, like the health benefits, the low-down on caffeine, latte art, etc. see the post From Bean To Brew. For more information on upcoming events, send an email to info@sacoffeeclub.co.za. 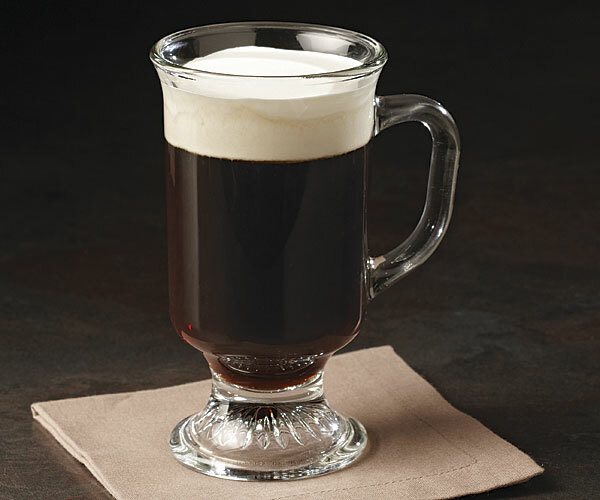 Traditional Irish coffee is a cocktail consisting of hot coffee, Irish whiskey, and sugar, stirred, and topped with thick cream. The coffee is drunk through the cream. 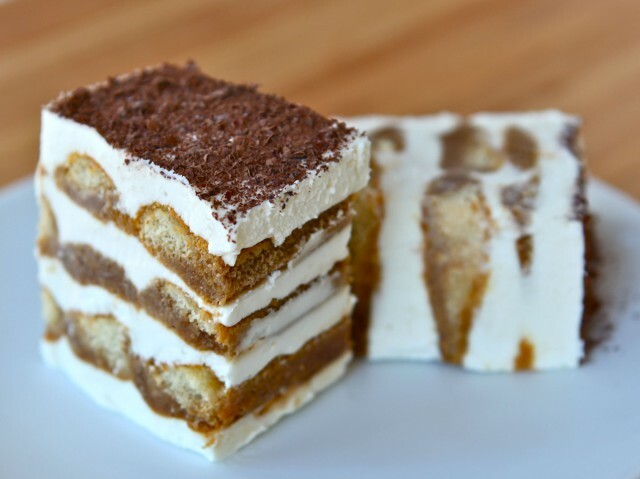 This variation has similar ingredients, but it is in the form of a set dessert. Definitely worth a try! Add the sugar to the hot coffee and set aside to cool. Place the gelatine into a heat resistant glass jug and pour over the 100 ml water. Microwave on medium-low for about 1 minute or until the gelatine has melted. Stir the melted gelatine and whiskey into the cooled coffee and divide the mixture between 6 stemmed glasses. Whip the cream and sugar to a thick but pouring consistency. Spoon over the set coffee and dust lightly with cocoa just before serving. Gourmet food …ready in a few minutes! Trim and flatten the breasts neatly and sprinkle with salt and black pepper. Heat the oil and butter in a non-stick frying pan and pour half into a second saucepan. Heat the non-stick pan and fry the breasts over moderate 4 to 5 minutes on a side or until cooked and browned on both sides. Add the onions to the second saucepan and cook over moderate heat until softened.Add the wine, coffee, vinegar and stock powder and bring to boil. Combine the water and cornflour and add to the saucepan stirring until smooth and thickened. Cut the plums into wedges while on the stone. Remove the stones and stir into the sauce. 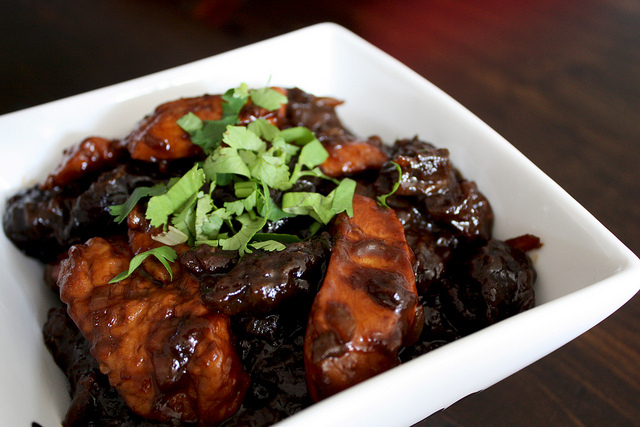 If using prunes, pit them before adding them to the sauce. Adjust seasoning, pour over the breasts, heat through, garnish with parsley and serve. Substitute the prunes with 2 firm ripe dark red plums. This recipe is a simplified and healthier version of the ever-popular classic French dessert, Mousse au Chocolat. In her book “From Julia Child’s Kitchen“, Julia introduces chocolate mousse as follows: “It’s a sin, wickedly rich and fattening, but every spoonful is glory …”. I had a look at Julia’s chocolate mousse recipe but decided that it is too labour intensive and too high in fat! Carolié’s version can be whipped up in a few minutes and it can be enjoyed on occasion as part of a healthy lifestyle. Melt the chocolate in a heatproof mixing bowl over a medium saucepan of simmering water or cover and microwave on Medium for about 2 minutes or until melted. Add the coffee and 100 ml of the cream to the melted chocolate and stir in gently. Beat the egg whites until frothy and gradually beat in the sugar to firm a firm meringue. Stir 125 ml of the chocolate mixture into the beaten egg-white. Add to the chocolate mixture and mix lightly. Beat the remaining cream until stiff and add two thirds to the chocolate mixture. Mix until evenly blended and pour into one large or 8 to 10 smaller bowls or stemmed glasses. Place in the refrigerator to set. Spoon the remaining cream into a piping bag with a small rosette nozzle and refrigerate. 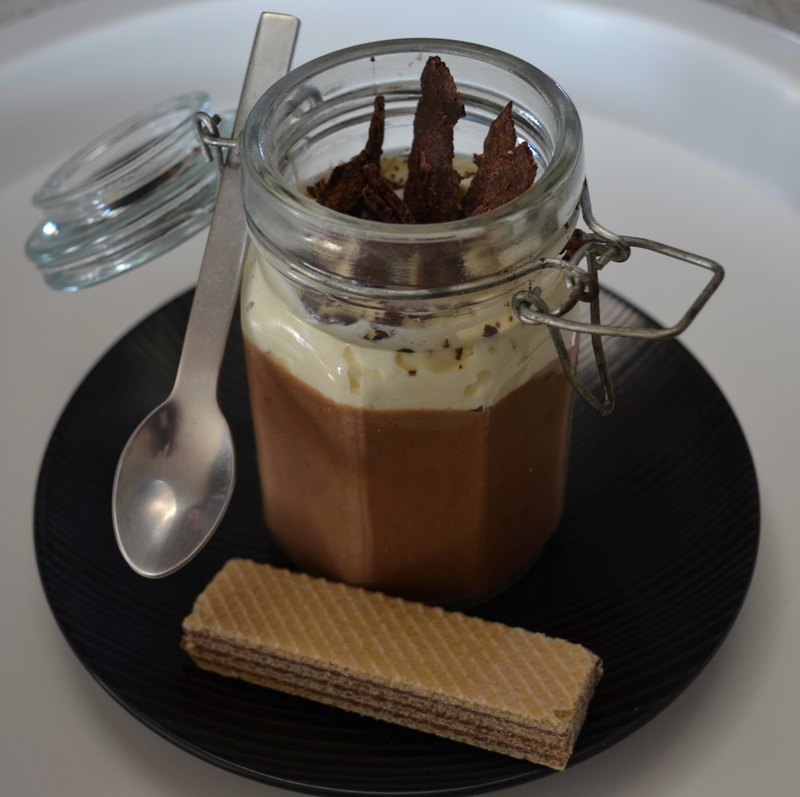 Pipe cream rosetttes onto the chocolate mousse when set and garnish with chocolate shavings. Cover with cling wrap if not served within a few hours. Can be made up to 3 days ahead. Recipe from Carolié de Koster’s Art Of Cooking, p. 528. A delightful creation of velvety mocha filling on a thin crust. 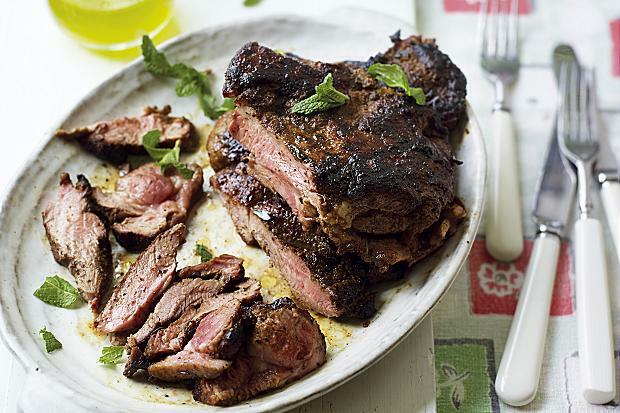 It can be made in advance to avoid a last-minute rush in the kitchen. Line the base of a 25 – 28 cm spring-form tin with baking paper. Place the biscuits, cinnamon and butter or margarine into the bowl of a food processor and process until crumbly and even. Turn out into the tin and press evenly onto the base. 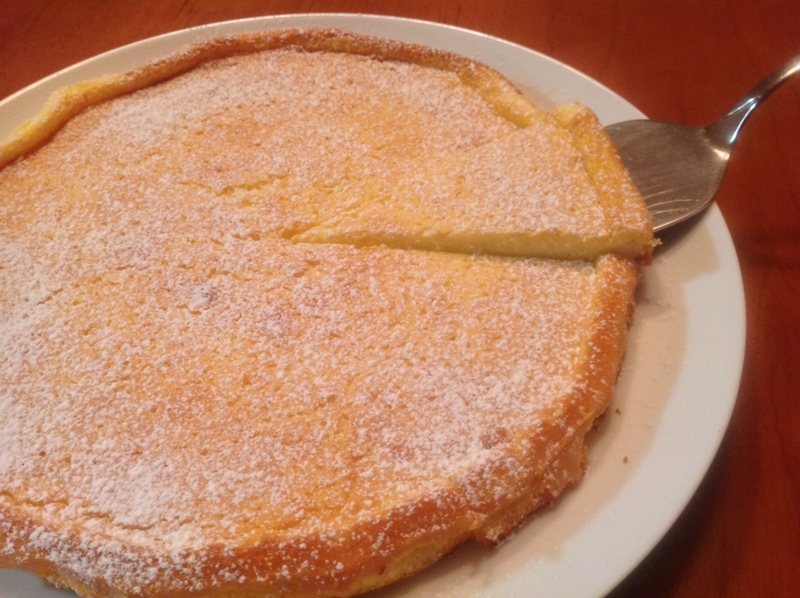 Place the Ricotta cheese, sugar, lemon juice, brandy and vanilla essence in a bowl and beat well. Place the gelatine into a 250 ml heat resistant jug and add the coffee or water and coffee powder and microwave on MEDIUM for 1 minute or until syrupy and melted. Stir a few spoonfuls of the Ricotta mixture into the gelatine, add to the bowl with the Ricotta and beat well. Add the whipped cream and chocolate chips and fold together until evenly combined. 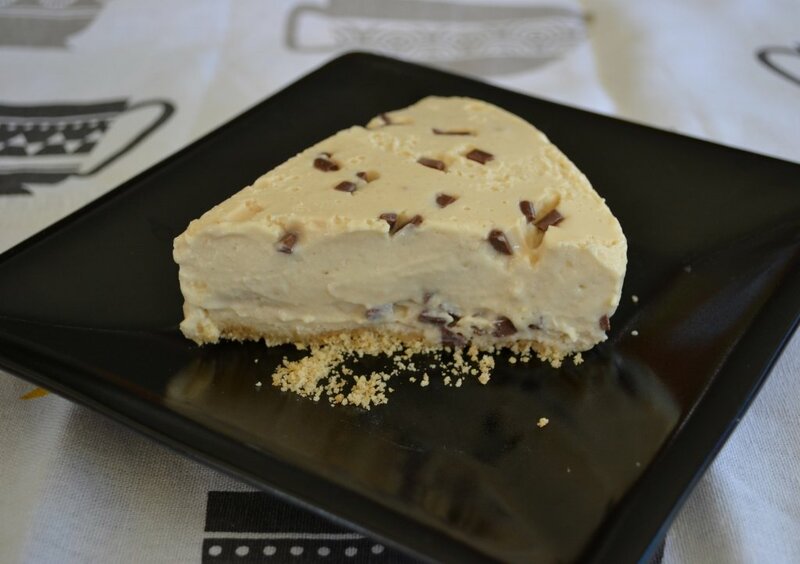 Pour into the prepared crust and sprinkle a few chocolate chips on top. Refrigerate until firm and cut as preferred to serve as a teatime treat or dessert. If Ricotta cheese is not available use firm cream cheese. This ring cake has a velvety texture and incredibly interesting and pleasing flavour – one of the best variations of a chocolate cake and a good way to use bananas that have become a bit too ripe to enjoy as is. The cake is good when just made but the flavour improves if it is kept sealed and refrigerated for a day or two. 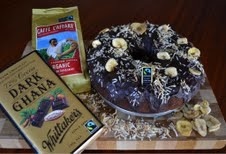 This cake is certainly fair to bake – it uses 8 Fairtrade certified ingredients! Pre-heat the oven to 180°C and grease a fluted ring tin (± 24 cm diameter) well with butter or non-stick cooking spray. Place all the ingredients in the bowl of a food processor and process 1 minute. Scrape the sides once and process 2 minutes more or until the mixture is light and fluffy. Spoon the mixture in the tin, smooth the top. Bake for about 25 minutes or until firm to the touch and a metal skewer comes out clean if inserted. Cool in the tin for at least 5 minutes, loosen carefully and turn out. Allow to cool completely. Place the chocolate squares, coffee and vanilla into a small bowl and microwave on medium low for 2 minutes or until softened if tested with the tip of a teaspoon. Stir to combine and pour ans spread the chocolate glaze over the cake. Decorate with banana chips and toasted coconut as preferred. Serve or refrigerate in an airtight container. The Fair Trade ingredients can be substituted with similar ingredients. 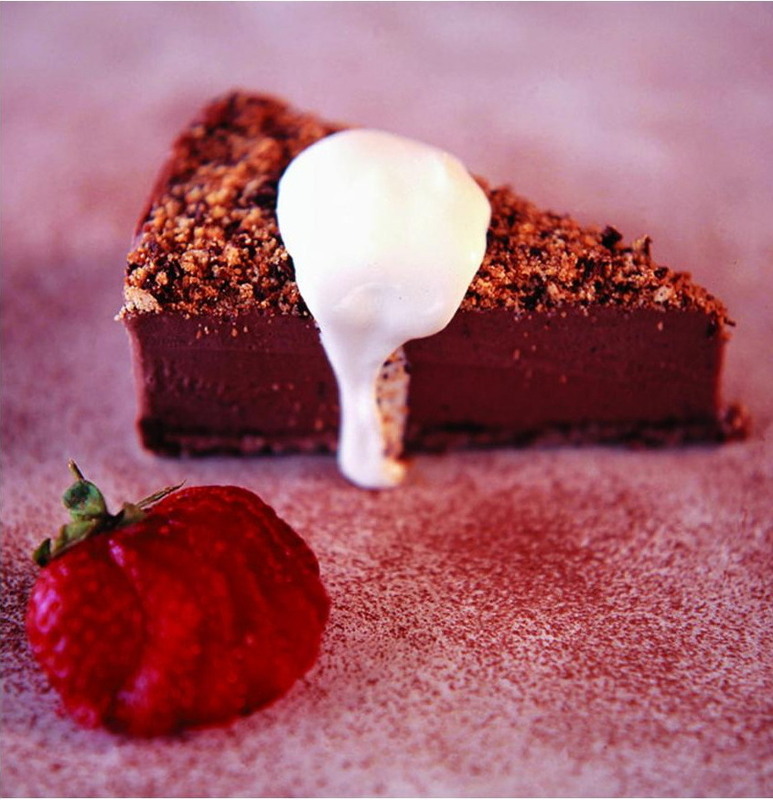 A delightful creation of velvety satiny mocha filling on a thin complimentary crust of chocolate wafer or chocolate digestive biscuit crumbs. A dessert which may be made well in advance to prevent a rush of activities for special occasion cooking. Line the base of a 200 22 cm spring form or loose-bottomed cake tin with a double layer of lightweight aluminium foil, allowing it to extend over the sides. Chop the biscuits for the crust in a food processor or crush finely with a rolling pin and stir together the biscuit crumbs and melted butter. Sprinkle into the prepared tin or dish and press evenly onto the base. Bake at 180ºC for 10 minutes until the crust is set. Break the chocolate into a glass bowl, cover and microwave on MEDIUM for 1 – 2 minutes or until softened if tested with the tip of a teaspoon. Beat together the creamed cottage cheese and condensed milk well. Add a spoonful of the mixture to the chocolate and mix. Add the chocolate to the mixing bowl and beat very well to combine. Beat in the coffee and vanilla. Beat the cream until stiff and fold into the chocolate mixture until blended. Pour the filling into the prepared pan and smooth the top. Cover with cling wrap and freeze overnight or at least 8 hours until quite firm. Chop the biscuits for the crumb topping to finish the cake and store in a small container. 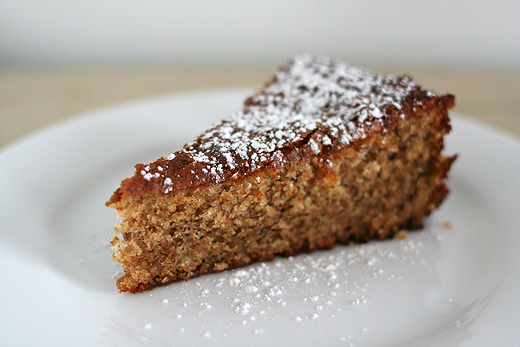 Give one quick wipe with a warm damp cloth around the sides of the cake tin or glass dish to release the cake. Undo the clasp if a spring form tin was used or lift out the cake with the aid of the base or the loaf with foil. Place the frozen cake onto waxed paper, coat the sides with crumbs by pressing it onto the sides with the palms of the hands. Sprinkle the remaining crumbs over the top and return to the freezer for at least an hour. Place into a suitable airtight container and keep frozen until ready to serve.Beat the cream with the sugar and vanilla until stiff and spoon into a piping bag with a small rosette nozzle. Decorate the round cake with cream rosettes and finish with a chocolate coffee bean, chocolate shavings or curls. Decorate the loaf cake with rows of piped cream before slicing or decorate the slices with rosettes of cream, chocolate coffee beans, curls or shavings. Lift the frozen cake off the foil and place onto a serving platter – white looks great. Using the melted chocolate or commercial chocolate sauce, make a zig-zag pattern onto each individual serving plate. Cut the cake into neat wedges and place onto the zig-zag chocolate sauce pattern to serve. Recipe by Carolié de Koster from the Art of Cooking Recipe p. 537.